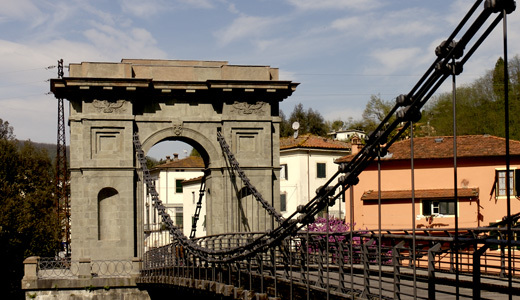 Fornoli is situated 120meters above sea level,4 kilometers from Bagni di Lucca,near the meeting point of the River Lima with the River Serchio.The railway station of Bagni di Lucca is situated here (made in 1905,linked up the valley with Lucca) theres also bus (viabus) and taxi service.At Fornoli one can admire the ‘Chain Bridge’ (Ponte delle Catene) a work of intelligence and technique created by Lorenzo Nottolini (1787-1851) built in1840 wanted by Carlo Ludovico di Borbone,after the old bridge made by Castruccio Castracani in 1317 was washed away by the river in 1836. 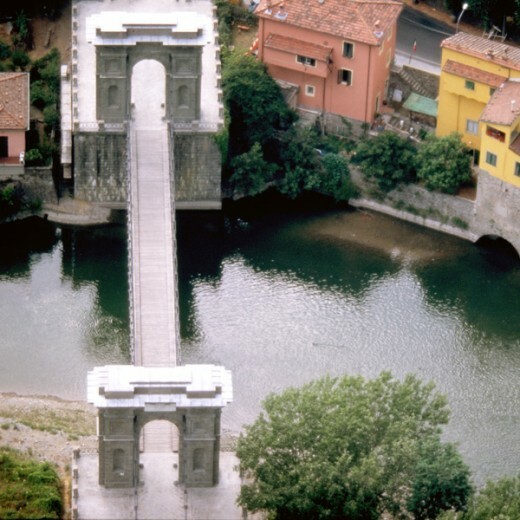 The works finished in 1860 and during the second world war the germans distroyed the road of the bridge which was rebuilt in 1950.Until 1899 Fornoli was part of Borgo a Mozzano. 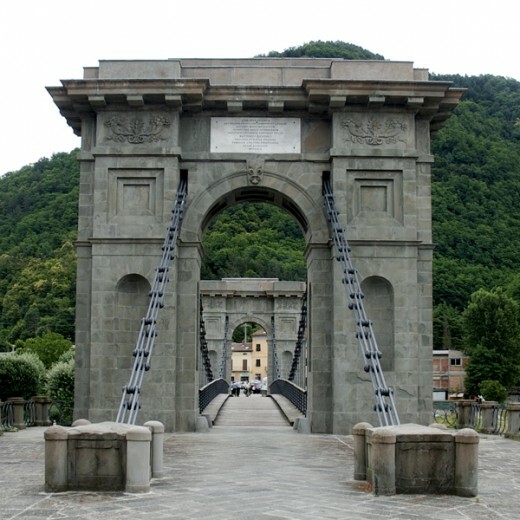 Fornoli was remembered in alot of records from Lucca before the year 1000, the most antique was in776. Until the 10thcentury it was of the Lord of Corvara and was destroyed in 1187. 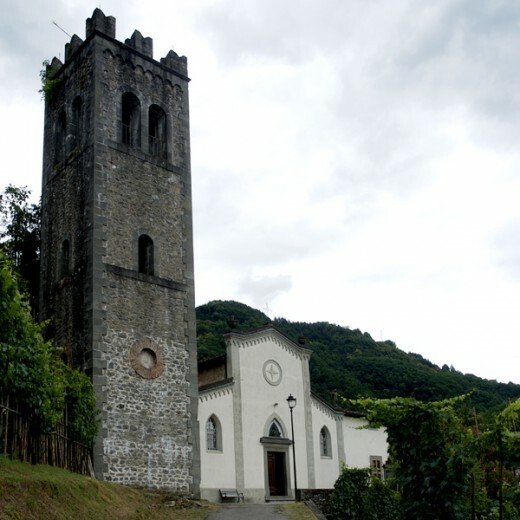 The church was dedicated to San Pietro and in a parchment of 825.There are three aisles with pillers and capitals,the organ is of the second half of the 19thcentury.In 1900 the french Varraud and Parret made a factory which produced tannin still working today.Because of this factory the life of the people of Fornoli was marked with the rhythm of the steam siren named ‘cucco’ which regulated the life of the factory,blowing when work began,when there was a break,when work resumed and when it finished. 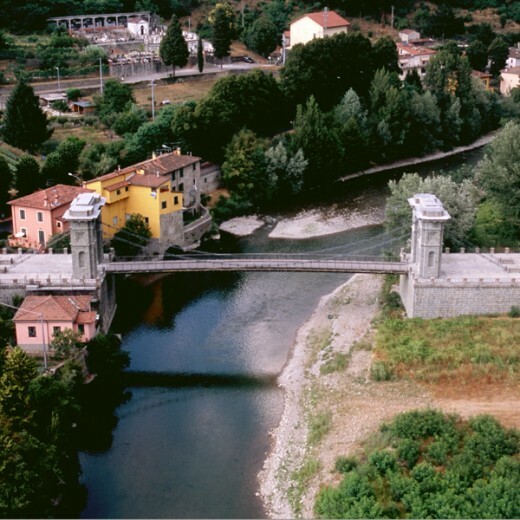 In the hills,the tower (La Torre) dominates Fornoli owned by the Della Lena family it is remembered in documents of the 16thcentury.It was left in inheritance to the Hospital of the Misericordia di Lucca,then to the noble Trebiliani,then to the Pellegrini and the sisters Susie and Francis Norton Clarke.The Clarke sisters were of irish origin but emigrated to the USA in the beginning of the 19thcentury,they owned property rich with deposits of iron.But Bagni di Lucca was there second home. They helped in the making of the villages health centre.The origin and tradition of the village is today shown in Thanksgiving Day held once a year that celebrates all the products produced from the land,after the mass the priest blesses all the machinery used to coltavate the land.